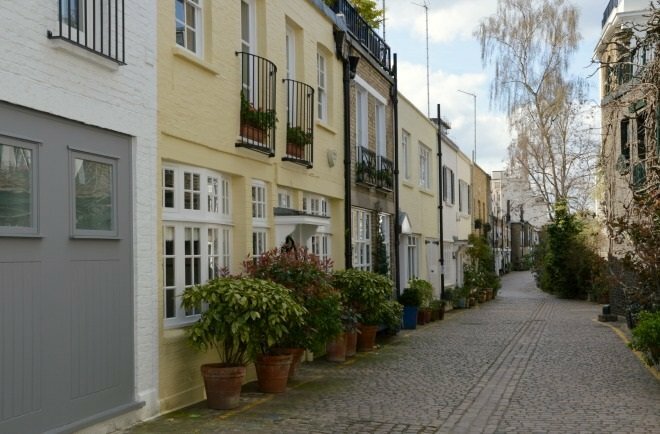 A step back into London’s history starts with a visit to the famed cobbled streets and the highly sought-after mews properties. Just what is a mews, you may ask? 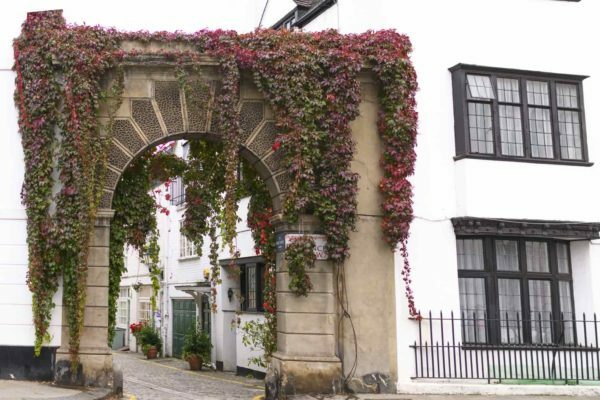 As far back as the 17th and 18th centuries, the mews properties were used by the wealthy residents to stable their horses. These rows of stables backed on to the grand houses of the day. It’s no wonder why mews properties can be found in the most desirable locations in all of London! The original term for ‘mews’ dates back to Henry VIII’s reign when he ‘mewed’ his hawks at the Royal stables in Charing Cross. Although the ‘mews’ properties of the time were not used to house the King’s hawks, their primary use was for stabling horses, and even served as servants quarters. 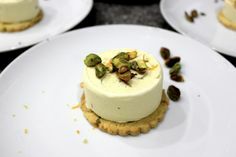 Today, mews properties have been converted into million-dollar homes, and are highly coveted for their communal atmosphere and sense of history. Amidst the busy, fast-paced city you can find a village-like atmosphere in these wonderful, often tucked away, cobbled streets. 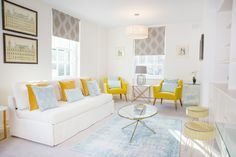 As there are a limited number of mews properties in the capital they have become much in-demand, not only to rent, but also to buy. 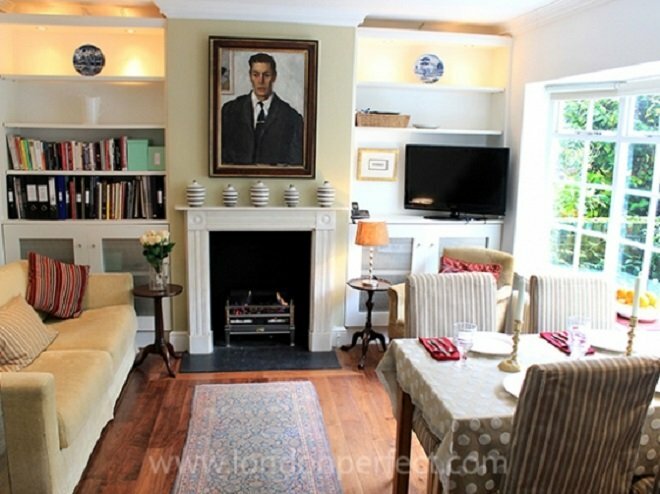 Potential investors are charmed by these properties, all of which are steeped in history, providing a quiet location while still in the heart of the capital. On the map below are our picks for some of the finest streets in which to see these beautiful mews properties. We think this would make for a wonderful day out in London! 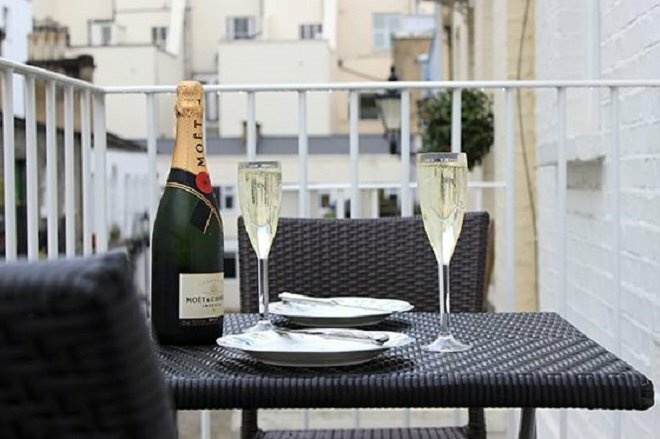 Our stunning mews properties are located in the highly desirable Kensington, Chelsea and Notting Hill neighborhoods – each offer something totally unique, whether you are travelling as a couple or with friends and family. 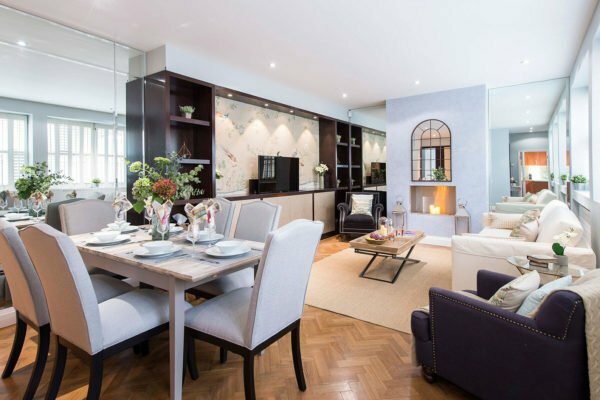 We have some of the finest homes for your stay in London, and if you want even more of a reason to ‘choose a mews’ for your next London visit, take a look at our luxurious properties. 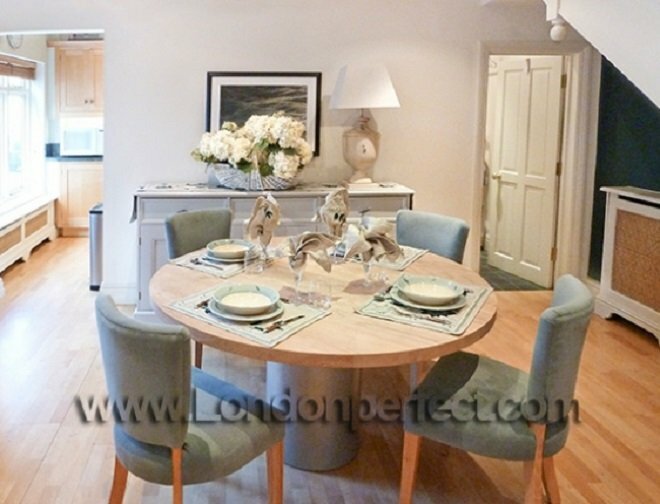 This stunning two-storey mews house is located in desirable South Kensington on a traditional, cobbled street only a short stroll away from some of the capital’s top attractions, including Kensington Gardens and Museum Row. This prime location also benefits from having the quiet, village-like feel that is highly sought-after in the city. 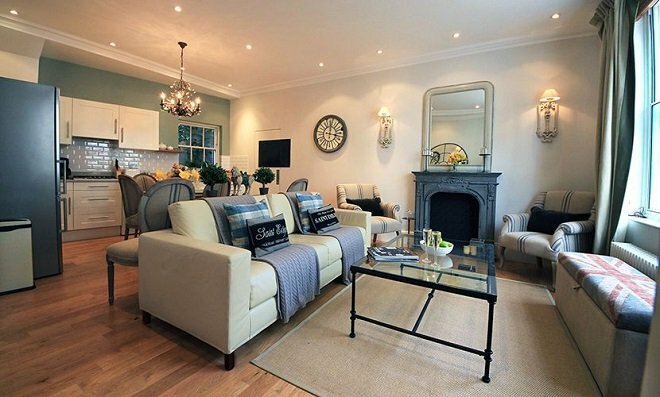 Find out more and see all the photos of the beautiful Rockingham mews home vacation rental in South Kensington. This lovingly-renovated mews home definitely has the ‘wow’ factor with elegant interiors and thoughtful design throughout. 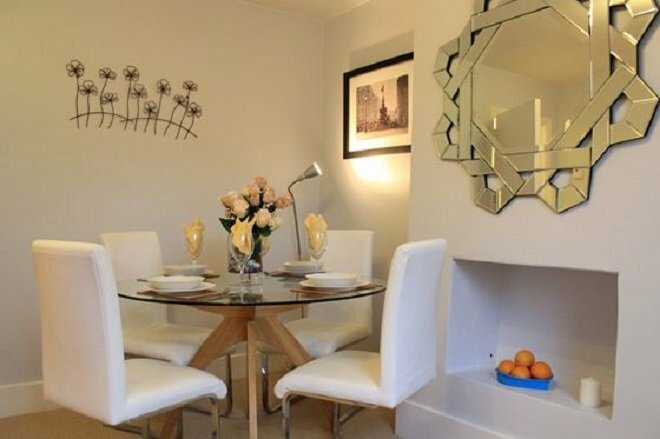 This three bedroom property is situated in fashionable Kensington and is perfectly located for the world-famous museums, restaurants and designer boutiques! After a day of seeing the sights and shopping, why not enjoy a pot of tea on your private roof terrace! 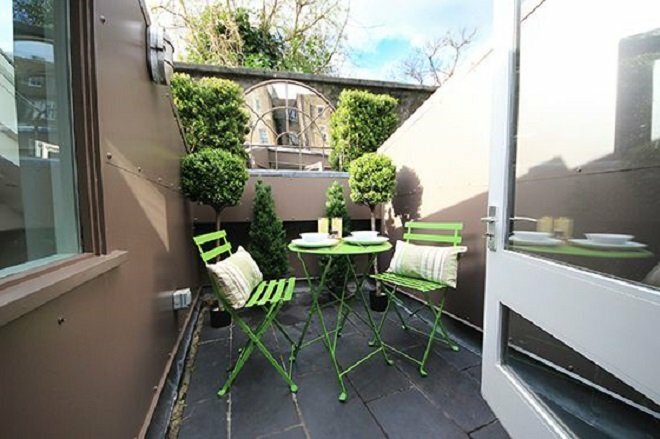 Take a tour of the Middleton mews vacation apartment in Kensington to see why it’s one of our most popular apartment rentals in London. This elegant mews house is tucked away from the busy hustle and bustle of city life, yet you are only moments away from fashionable Sloane Square and the world-famous King’s Road. 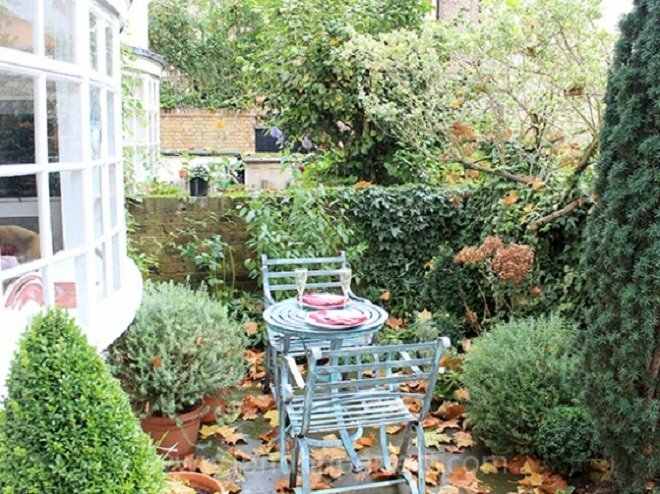 This property also benefits from a delightful courtyard garden, which is the perfect place to relax over a glass of wine after a busy day in trendy Chelsea. Step inside this beautiful mews hidden away in Chelsea to discover the Wellesley one bedroom mews vacation rental. 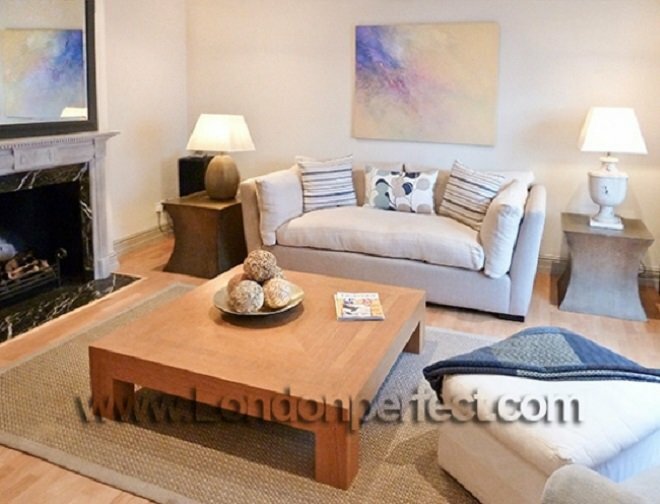 It’s all about ‘location’ at this fabulous mews house, as it’s only a short stroll away from fashionable High Street Kensington and trendy Notting Hill. 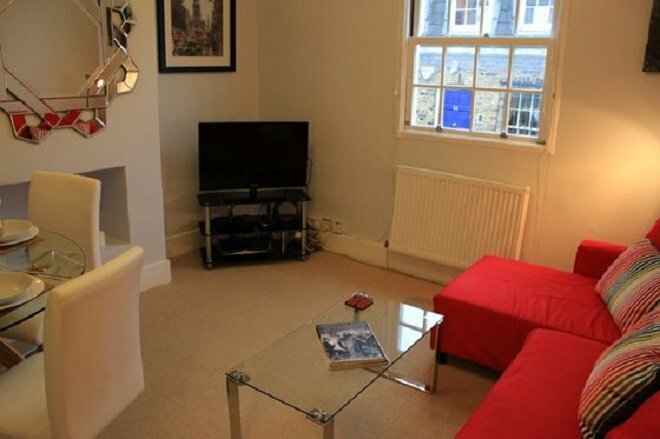 This historic mews also boasts three bedrooms, so a perfect choice if you are travelling with friends and family. Discover the dreamy setting and see more photos of the three bedroom Hornton mews home vacation rental in Kensington. This charming mews home is situated in the highly-desirable Notting Hill neighborhood and is only a short stroll away from the trendy boutiques and cafes that the area has become famous for. After a day of antique hunting along the Portobello Road, what better place to come home to than our delightful Marlborough mews home rental in Notting Hill. 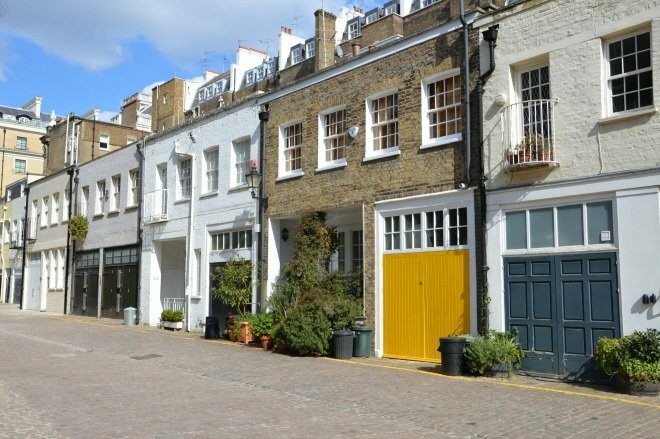 Historic charm is around every corner in London, and none so more than in the mews homes that have delighted residents for years, and are much desired by many. 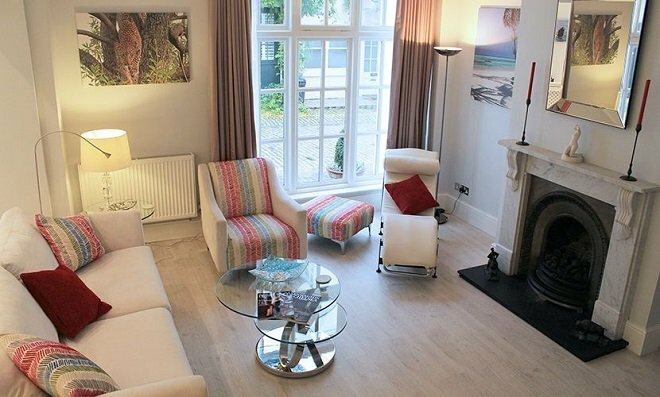 Staying in one of our luxurious mews homes is a wonderful option for your London vacation, and perfect for that slice of ‘historical’ London life! 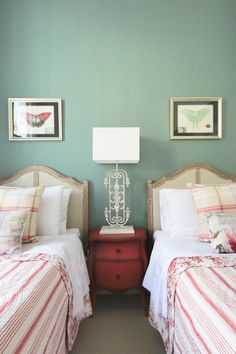 Posted on Thursday, April 16th, 2015 at 3:52 pm in Apartment Rentals. You can follow any responses to this entry through the RSS 2.0 feed. You can leave a response, or trackback from your own site.